Cromwell’s funds and mandates are managed on behalf of wholesale institutional investors, pension funds and sovereign wealth clients, banking partners and other third-party capital providers. Cromwell co-invests in many of the funds. A selection of some of these funds and mandates are detailed below. European Commercial Real Estate Limited (ECREL) is a portfolio of industrial and mixed commercial assets spread across the Nordic region, Germany and the Netherlands. In April 2010, the business secured the mandate to provide investment management services to ECREL and, in 2011, co-invested to acquire 49% of the equity in ECREL alongside the original investors who hold the other 51%. The investment strategy is to provide a competitive advantage in tenant management and build sustainable value in the portfolio, including undertaking disposals, at maximum value and in line with debt reduction strategies. 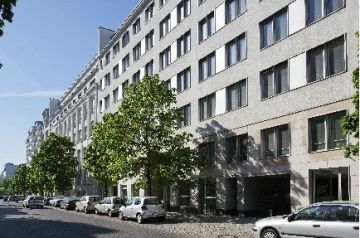 The 24,000 sq m Löwenkontor Building at Spittelmarkt, Berlin, that was formerly held in ECREL, was traded in 2013 following a transformational refurbishment from a vacant single-let asset, to a modern, multi-let office complex, fully let with secure long-term income. Click here to read the ECREL case study. Parc d’Activités is a closed-ended fund, invested in multi-let light industrial and local distribution assets throughout France. The portfolio comprises approximately 150,000 sq m of space, spread over 13 estates with the majority of these currently located in the Ile-de-France (Greater Paris) area. Cromwell’s wholly owned subsidiary is both the fund manager and asset manager. Parc des Docks is a 74,000 sq m light industrial park located 800 metres from the Porte de Saint Ouen access route into Paris. The Cromwell Nordics Retail Partnership launched in 2016 with a mandate to build a portfolio of retail assets in the Nordics. The Fund which is a partnership between Cromwell and a private equity investor partner, is targeting dominant retail assets, anchored by food and convenience stores, located in strong regional cities across the Nordics, with a focus on Sweden. In April 2016, the Fund completed its maiden investment, a high-yielding portfolio of four regional shopping centres, totalling 50,000 sqm, anchored by a mix of national and local brands and let to more than 90 occupiers overall. 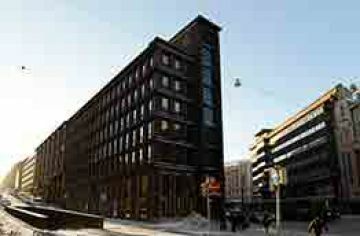 The fund’s investment strategy is underpinned by the current investment climate in the Nordics, which combines attractively priced assets and economic forecasts predicting around 2% growth over the next 12 months, linked with CPI-indexed rents, making this market a compelling investment proposition. The Fund launched in 2014 with a mandate to build a portfolio of Central European retail assets. It was seeded with €200 million of equity and has an initial target gross asset value of €500 million. The Fund was originally launched to invest in first and second generation shopping centres, retail parks and retail outlets in primary and secondary macro locations in Poland and the Czech Republic. It is acquiring good quality, well located real estate, targeting both single assets, primarily in lot sizes ranging from €10 to €60 million, and portfolios in excess of €50 million. In 2016 the Fund diversified its investment strategy into the office sector with the acquisition of the 8,693 sq m Warsaw Corporate Centre in Poland. Developed in 1993 by the partners of Golub Raczkiewicz Epstein Venture, the Warsaw Corporate Centre comprises nine floors with ground floor retail space, which are leased to several well-known occupiers including Danska Bank, Broadway Malyan and OSTC. The 36,500 sq m Galleria Butovice shopping centre in Prague, was VCERP's first acquisition, completing in October 2014. The Fund launched in 2013 with initial equity of €190 million to invest in Core Plus / Value Add assets in the UK and Germany. Within eight months, the total capacity of the fund was doubled to €1 billion, by securing a further €190 million of new equity from its existing investors. The Fund's investment geography was also expanded to include France, where it will invest up to €250 million of capital. The Fund invests in good quality, well located assets across the office, retail and industrial distribution warehouse / smaller logistics sectors, with individual lot sizes of between €5 million and €50 million. The 2,500 sq m Wickes retail warehouse in Aintree, Liverpool, was the maiden acquisition for the Fund completing in July 2013. The Fund launched in 2014 with a mandate to build a diversified portfolio of Dutch assets. It was seeded with €200 million of equity and has an initial target gross asset value of €500 million. 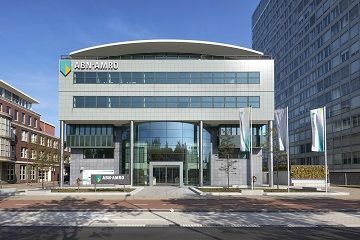 The Fund is investing in the office, industrial and out-of-town retail sectors in the Netherlands. It is acquiring good quality, well located real estate, targeting both single assets and portfolios, primarily in lot sizes ranging from €10 to €100 million. In December 2014, the Fund completed its maiden investment, the €140 million UNO portfolio, from Unibail-Rodamco. 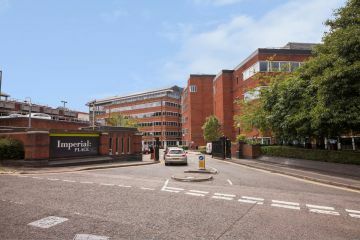 The porfolio comprises six assets with a mixture of c. 53,000 sq m office and c. 6,000 sq m retail space. 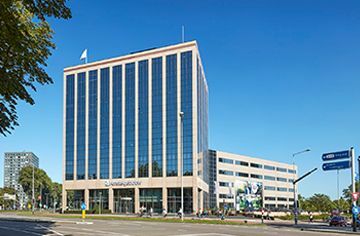 The fund has deployed in excess of €350 million of capital since launch, acquiring a retail park in Amsterdam and several large office buildings, including the landmark Victoria office in Rotterdam, and the 68,500 Haagse Poort office in The Hague, which was one of the largest single office transactions in the Netherlands in 2015. 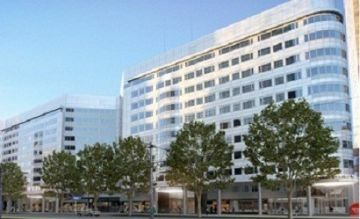 The Haagse Poort office building in The Hague, Netherlands. The Fund is a closed ended fund, invested in shopping centres and hypermarket retail assets in Poland. The portfolio comprises eight assets covering approximately 250,000 sq m of space located in seven of Poland's key cities including Warsaw, Kraków and Wroclaw. The Fund was formerly managed by GE Capital Real Estate before the investment adviser and asset manager of the Fund was acquired in February 2013. The Fund undertakes various value-adding redevelopments of its assets, having completed a significant refurbishment of Rondo Shopping Centre and a €220 million, 50,000 square metre project at Ursynow Shopping Centre, with a 20,000 square metre extension at Janki Shopping Centre in Warsaw about to commence. The Rondo Shopping Centre in Bydgoszcz underwent a significant refurbishment in 2014, transforming the first generation shopping centre into a contemporary retail destination suited to the requirements of today's evolving retail environment and consumers in Poland. Click here to read the Fund case study. The Zenith Portfolio is a portfolio of 25 assets located in the Netherlands. The portfolio comprises 180,000 square metres of space, made up of 18 office buildings and seven industrial assets, and includes some high quality, well-known buildings. More than three quarters of the portfolio is located in the Randstad conurbation, in the Netherlands, which includes three of the largest Dutch cities, Amsterdam, Rotterdam and Utrecht. Cromwell co-invested alongside Goldman Sachs to acquire the portfolio and is responsible for its on-going asset management, with a clear remit to increase value through strategic asset management initiatives. Prins Bernhardplein 200, Amsterdam, the Netherlands. Cromwell European Real Estate Investment Trust (CEREIT) is a diversified Pan-European REIT which listed on the Singapore Exchange Securities Trading Limited (SGX-ST) on 30 November 2017. Cromwell Property Group owns 35% of the units of CEREIT. CEREIT invests in a diversified portfolio of income-producing real estate assets in Europe across office, light industrial and logistics sectors. CEREIT’s portfolio currently comprises 98 assets in seven different European countries, covering an aggregate lettable area of 1.4 million square metres. CEREIT is externally managed by Cromwell EREIT Management Pte. Ltd. (the Manager), a wholly owned subsidiary of Cromwell Corporation Limited. The Manager focuses on strategic functions such as capital management, portfolio construction, compliance, investor relations and finance. Cromwell’s European business, in its capacity as property manager of CEREIT, provides the Manager with asset, facility and capital management services through its extensive platform of experienced local asset managers in five different countries.